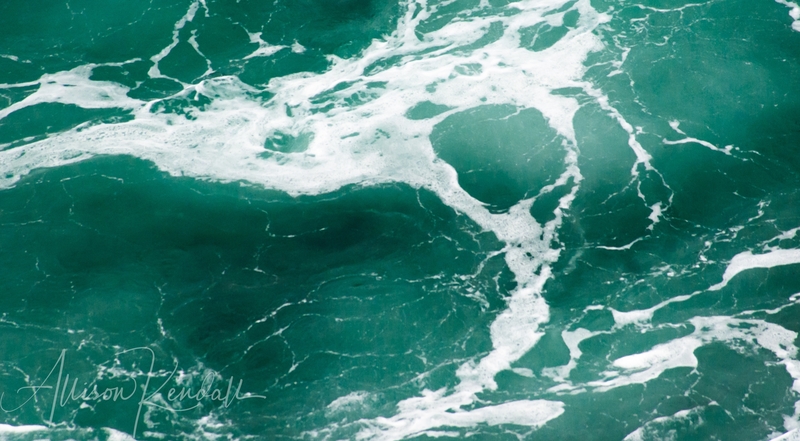 At certain times of year the color of the ocean waves below the cliffs of Big Sur take on a vibrant, blue-green hue, laced with swirling white froth. I have seen this gorgeous color most often in the late summer, when the fog has given way to endless blue skies and the air is quiet and still in the warm sunshine. I captured this particular image from a warm ridge in Big Sur, looking down into a cove of constantly moving waves. The otherworldly color churned from light to dark against the rocks below, and I could have watched the ocean all afternoon. Thank you for your comment – your description of water freezing on paper resonates, as even in photography it is easy to lose the sense of movement that all water has. Drawing it sounds even more difficult!